An ACL knee brace is a high level support brace used following ACL tears and ruptures. They may be used instead of surgery, whilst awaiting surgery, or once recovering from surgery. ACL braces are a great way to provide extra stability to the knee, give it time to heal and prevent further injury. You may only need one for a short time while you are strengthening your knee or recovering from surgery, or they may become the long term solution, giving you back your freedom. They can make all the difference, allowing you to safely return to sports and other activities. There are a huge variety of braces out there, so here I share with you the most effective and popular ones. We will look at why you might benefit from an ACL knee brace, how to choose the right brace for you to get the right level of stability and the correct size and you can read user reviews. The ACL is the main stabiliser of the knee. When it is damaged, the stability of the knee is reduced and can lead to the knee giving way during normal daily activities or when playing sport. If the knee is repeatedly giving way, it can cause more damage to the knee, especially the cartilage. Some people can overcome the problem through strengthening and stability exercises, but many benefit from an ACL knee brace. b) Caution: Helps provide a reminder to you and those around you that you’ve just had surgery. c) Peace of Mind: For you and the surgeon! 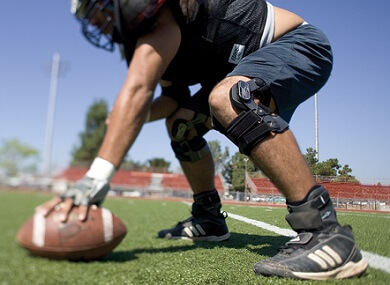 Lots of sports people are starting to wear knee braces to reduce their risk of injury. Approximately 80% of ACL injuries are non-contact and are due to too much stress and force going through the ACL. By changing the way the forces go through the ligament you can reduce the risk of injury. Now we will look at a range of ACL knee braces and how they work, ranging from top of the range to the best budget options. Donjoy is the leading manufacturer of ACL knee braces and they are the best at providing support and protection. Donjoy ACL braces are specially designed to reduce that force and strain on the ACL. They are expensive, but they work really well for everything from everyday use to professional athletes. The magic behind a Donjoy ACL brace is the combination of the special FourcePoint hinge and 4-points of leverage system – to find out more visit the Donjoy knee brace page. 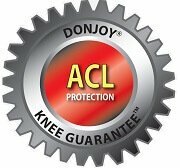 Donjoy also offer a knee protection guarantee, so confident are they that you won’t damage your ACL when wearing one of their braces! There are a number of Donjoy ACL braces on the market. Here, we will look at my two favourites, but if you want to see more options, including ones suitable for professional athletes or extreme sports, visit the Donjoy brace section. Overview: This Donjoy ACL knee brace is designed for use with mild-moderate ligament instabilities and is suitable for court and non-contact sports, or when recovering from ligament reconstruction. The Donjoy Fullforce combines Donjoy’s proven Four Points of Leverage™ System with its patented FourcePoint hinge technology to protect the ACL. It has a sleek, low-profile design, and is exceptionally light-weight. It also has a short calf length. It is suitable for competitive and recreational athletes as well as everyday use. My verdict: This brace is perfect for people who want great support without being hindered by a heavy brace. Many users report trying loads of different braces before finding this one, and being truly amazed at how great this brace is and that they would never use anything else. Average user rating 4.2/5. Overview: This Donjoy ACL brace is for moderate/severe ligament injuries. It has a low-profile design so can be worn underneath most clothing. The Donjoy Legend has a 10o extension block fitted to prevent hyperextension, a common cause of ACL injuries. It also combines the Four Points of Leverage™ System and FourcePoint hinge technology. It is also suitable for salt and fresh-water activities. 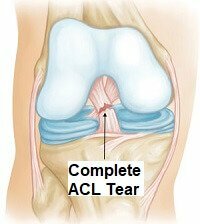 There are three versions: ACL, PCL or combined instability. It is the same brace but with different strap locations depending on where you need the support. My verdict: If you need maximum ligament protection, or want to wear your brace in water, this is perfect. Users report it is very comfortable to wear. Great for everyday use. Average user rating 4.2/5. 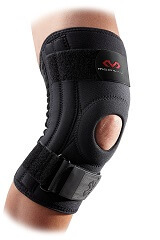 If you are looking for something simpler and cheaper than a Donjoy ACL brace, there are some great mid-range ACL knee braces that provide good support and are suitable for moderate to severe instability and pain. They work by using a combination of splints and hinges to provide support and prevent further injury. 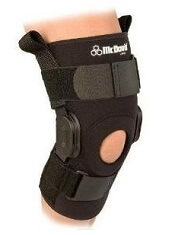 Overview: This McDavid brace is suitable for moderate/severe knee instability and pain. It has two side hinges that prevent hyperextension, and rigid uprights providing additional sideways support whilst allowing freedom of movement. It is made of lightweight materials including aircraft grade aluminium gears that accommodate the natural gliding action of the knee. The McDavid Pro II has a sewn in patellar support buttress which helps improve patellar tracking. The fully adjustable Velcro straps ensure a perfect fit for your knee. My verdict: This is a good ACL knee brace as it offers great protection at a very reasonable price. Users consistently give it top ratings because it is easy to apply, comfortable and effective. Average user rating 4.2/5. Overview: Designed for all ligament injuries. The triaxial hinge and flexible steel springs provide maximum protection without limiting knee movement. The Mueller Hg80 is made from Kevlar Hydracinn fabric (latex and neoprene free) which provides good durability and heat management to prevent excessive sweating. The contoured inner sleeve and adjustable strap at the top ensures correct fit. It has a unique antimicrobial layer which protects from bacteria and other micro-organisms, reducing odours. My verdict: This is a great ACL knee brace for skiers and active sports people. I like that it is made from special material to prevent it getting smelly! Average user rating 4.2/5. These ACL knee braces provide advanced protection and are suitable for mild to moderate ACL instabilities. They have adjustable straps and in-built supports to provide support where it is needed. They also retain heat which increases circulation to the knee which can promote healing. 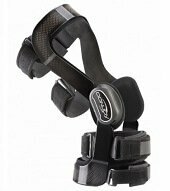 Overview: This Donjoy ACL brace is for mild/moderate knee instability following partial or complete ligament tears. The Donjoy Playmaker has a hi-tech, simple to use pin system that allows you to control how much the knee bends and straightens by locking the brace at one of nine possible positions between 0 & 90o. This is perfect if you want to block specific knee movements to provide protection e.g. following ACL reconstruction. It also features the Donjoy Four Points of Leverage™ system. The lightweight polyester-nylon weave Drytex fabric with pull on sleeve design eliminates neoprene allergies and improves comfort. My verdict: This is a cheaper Donjoy ACL brace as it doesn’t use a solid frame like the other styles and has a simpler polycentric hinge, but still provides great support and protection. It is very easy to apply and to change the restrictions on movement. Overview: This brace has special supportive steel springs that strengthen the brace on either side of the knee joint to improve stability and support knee ligaments, making it perfect if your knee feels slightly unstable. It also has a supporting padded buttress around the kneecap to improve patellar tracking. 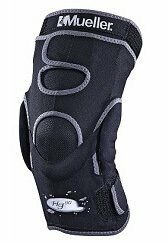 My Verdict: This McDavid knee brace is a classic design and it is rated highly by user who report that is very comfortable to wear. Average user review 4.1/5. These are just some of the best ACL knee braces on the market. If you want to see some more options, have a look at the Donjoy and Elite brace sections for more options. 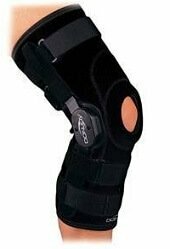 It is really important to get the right sized ACL knee brace to ensure maximum support and protection. Use the guide below to find the right size ACL knee brace for you. Wearing an ACL knee brace can make a huge difference but they are only one aspect in the rehab process after ACL injuries. Effective rehab is what makes the difference long term, whether you need surgery or not. An ACL knee brace is not intended as a substitute for rehab, it is to be used alongside your rehab programme, the aim being to build up enough strength and stability that you can eventually stop wearing your brace without any risk of further injury.